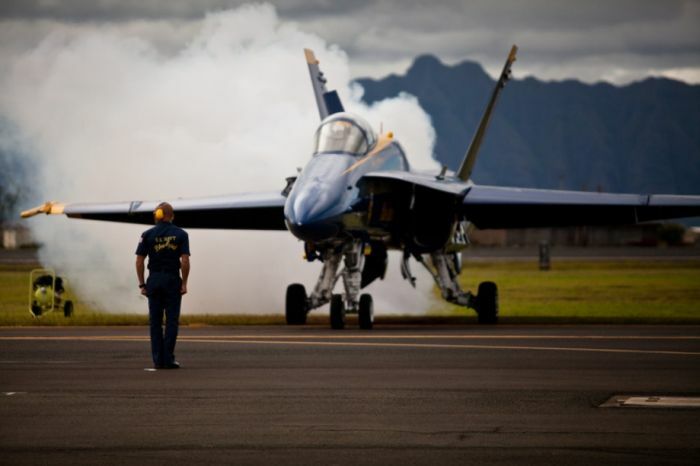 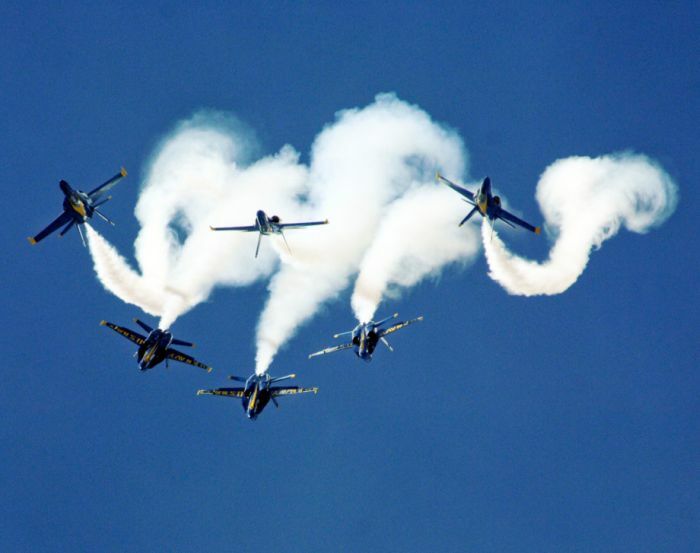 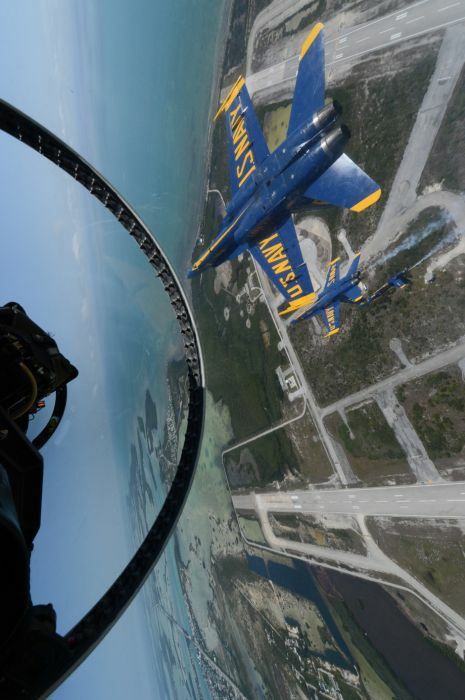 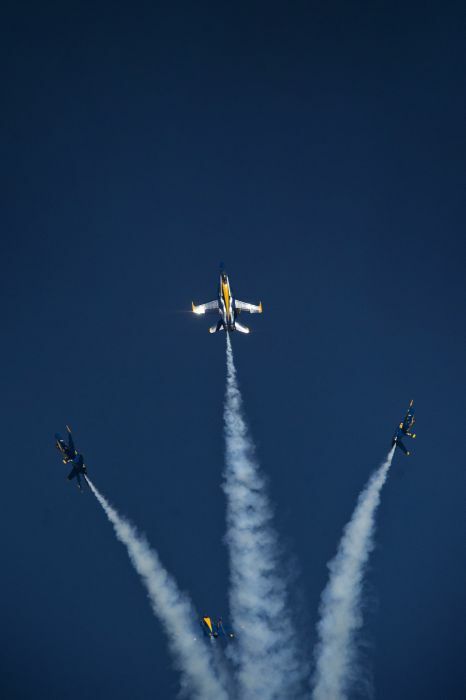 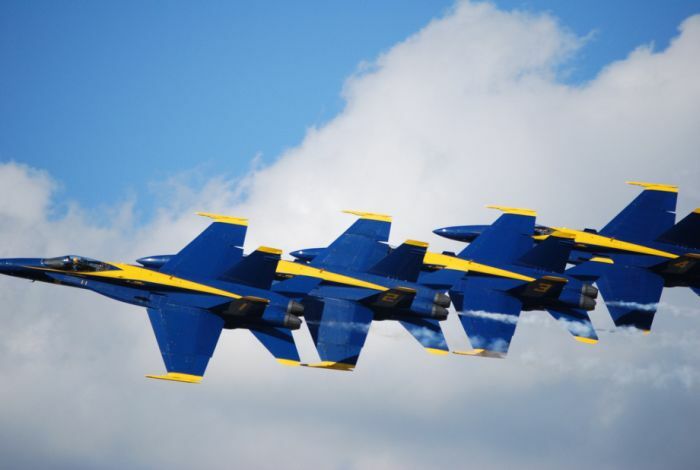 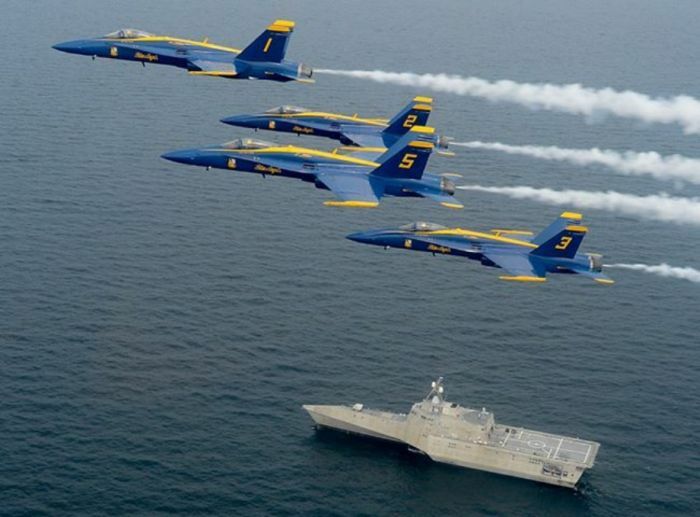 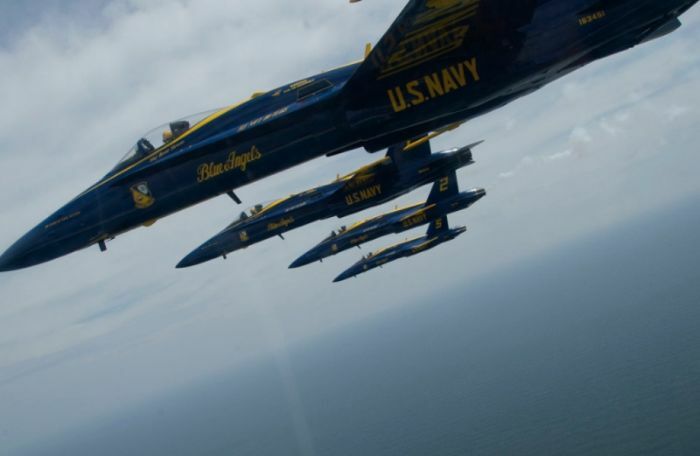 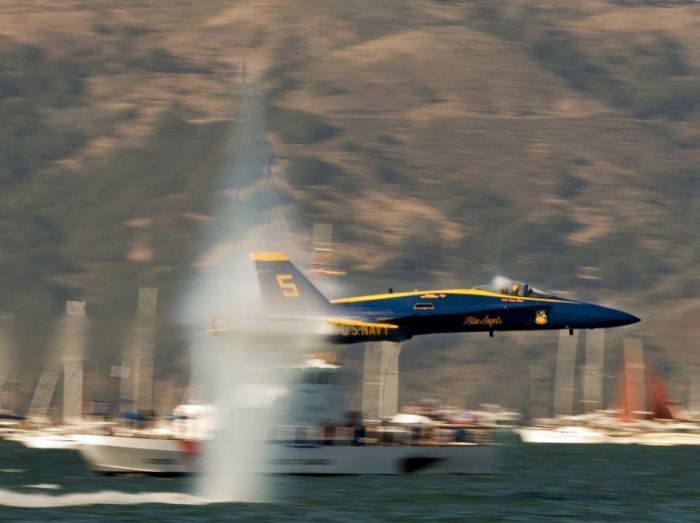 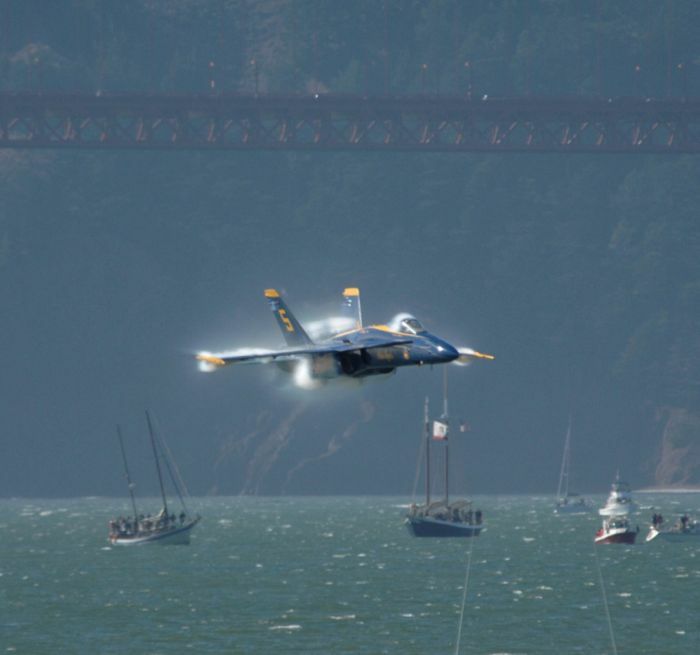 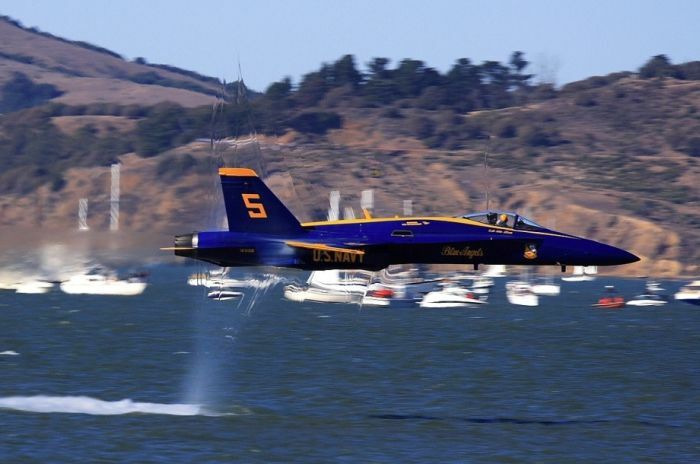 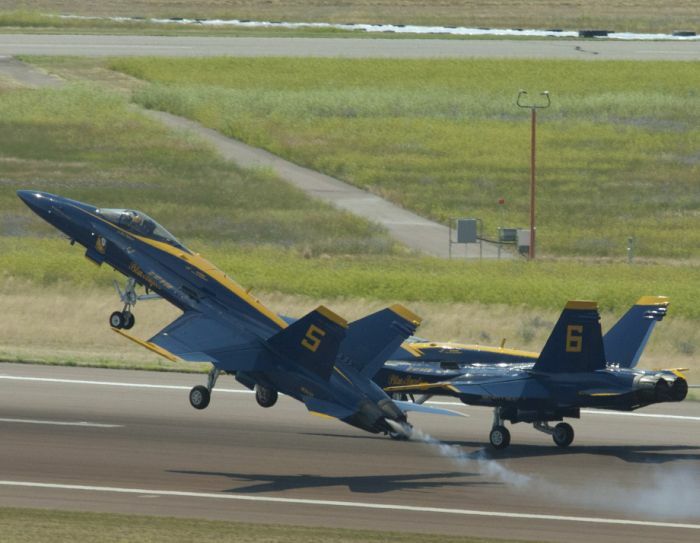 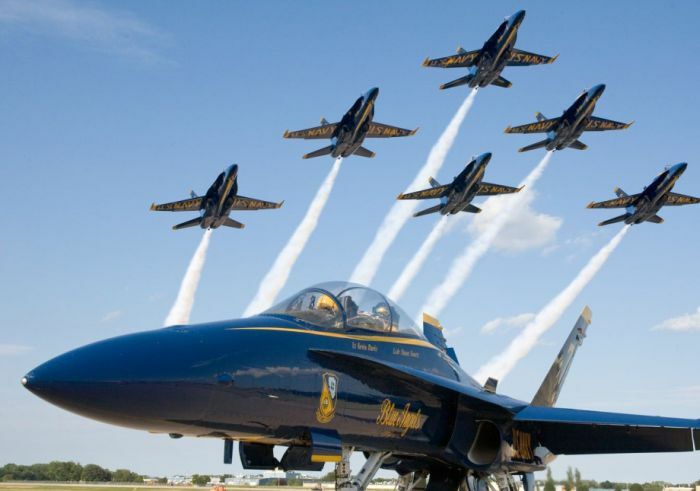 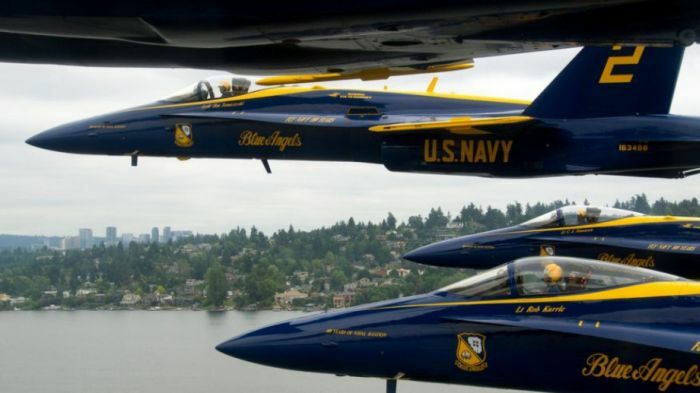 The Blue Angels is the United States Navy's flight demonstration squadron. 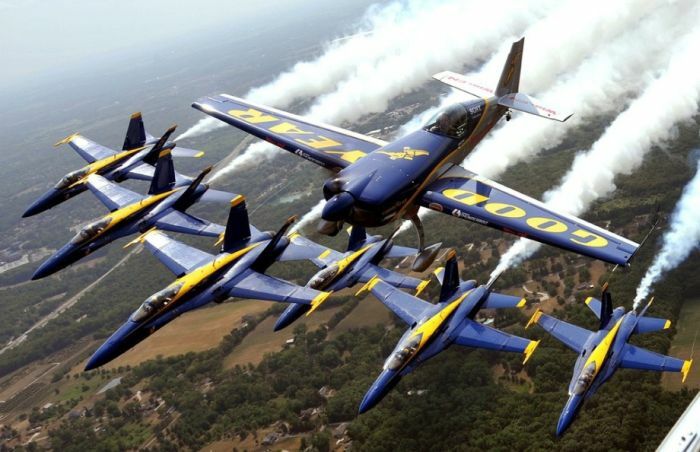 It was formed in 1946, making it the second oldest formal flying aerobatic team (flying under the same name) in the world, after the French Patrouille de France formed in 1931. 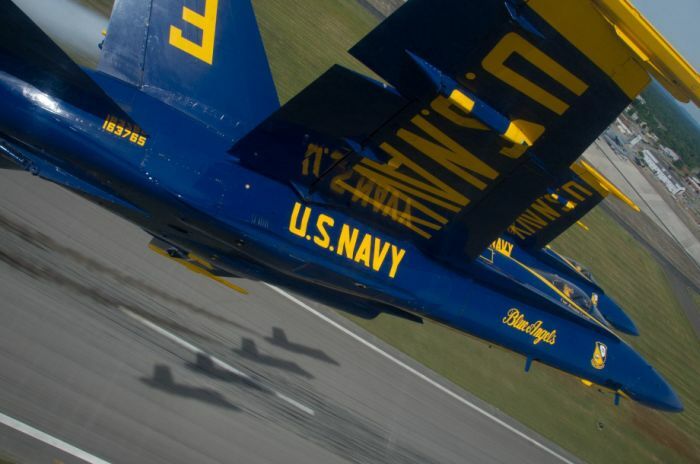 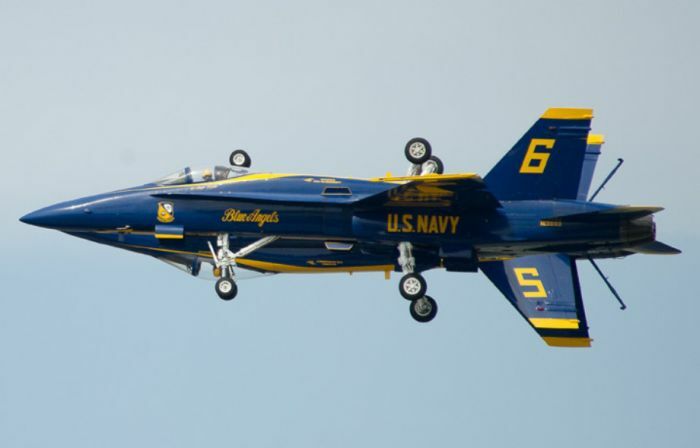 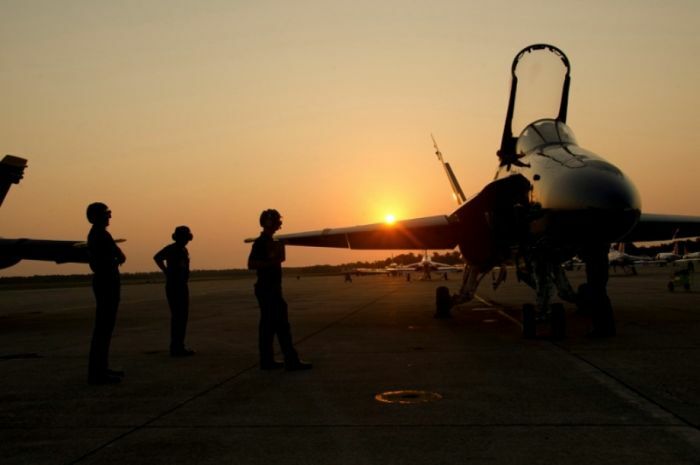 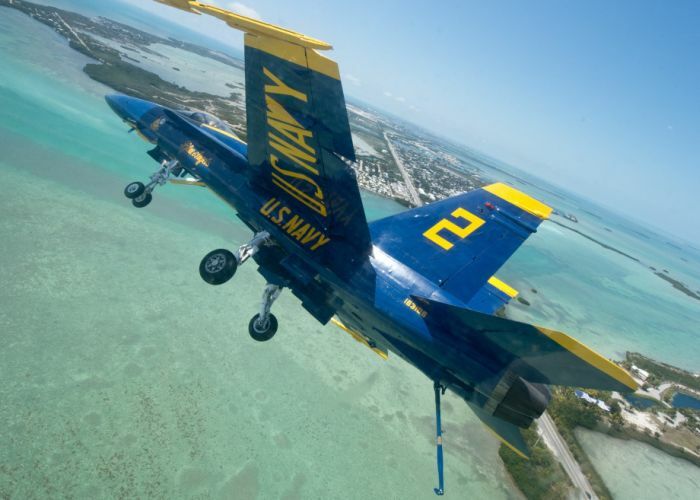 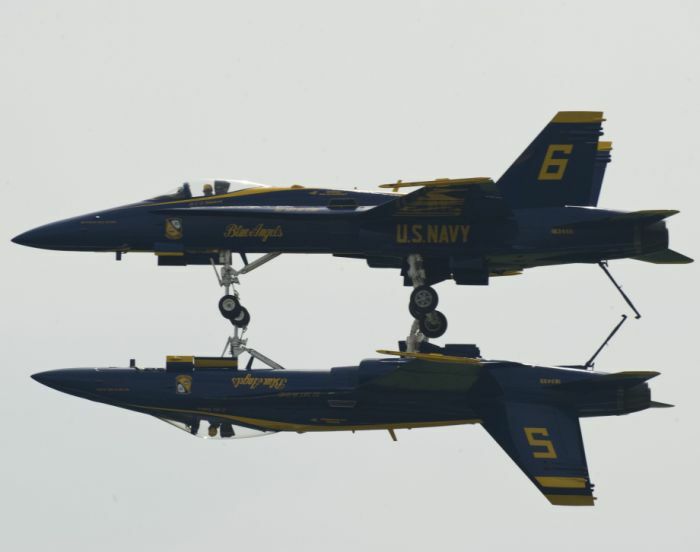 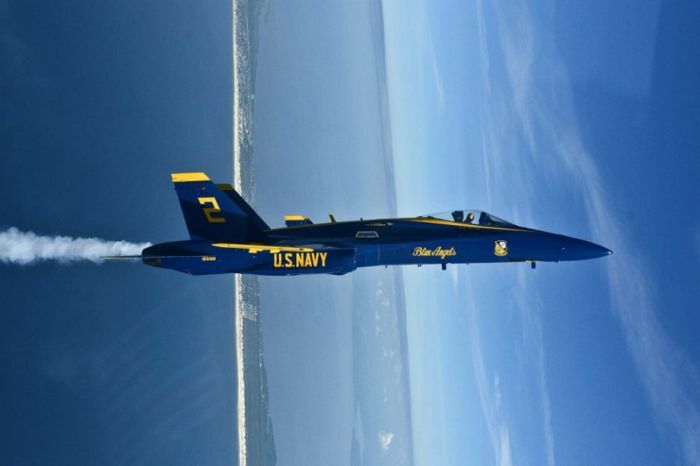 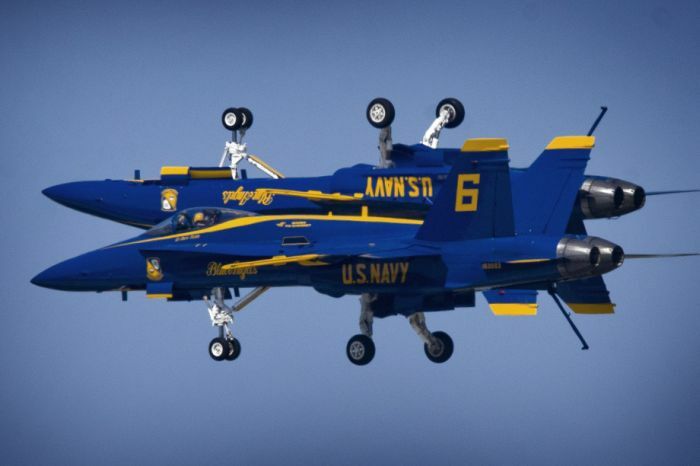 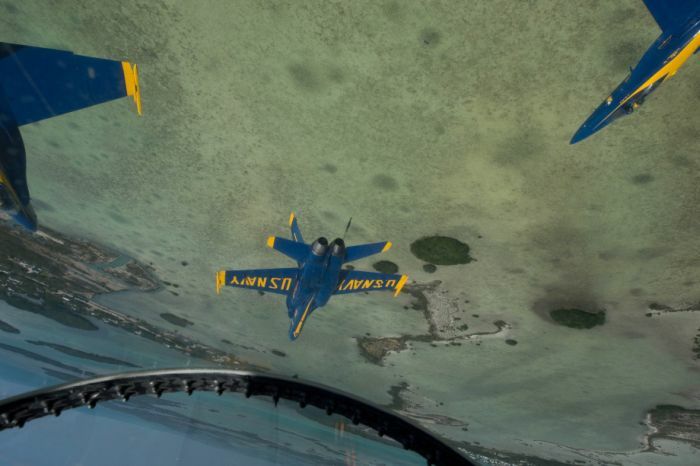 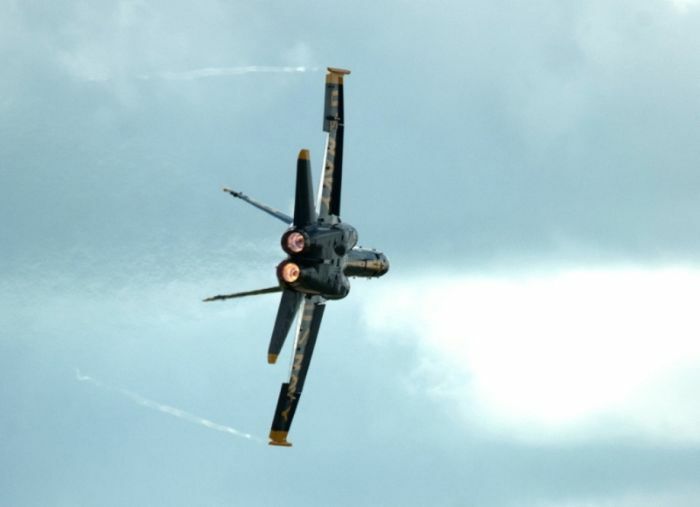 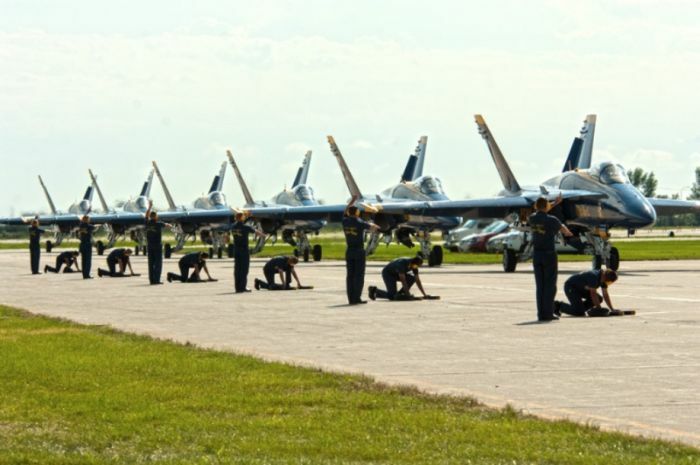 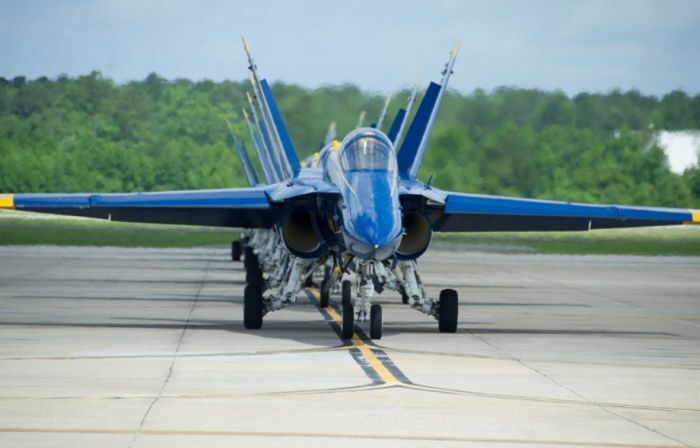 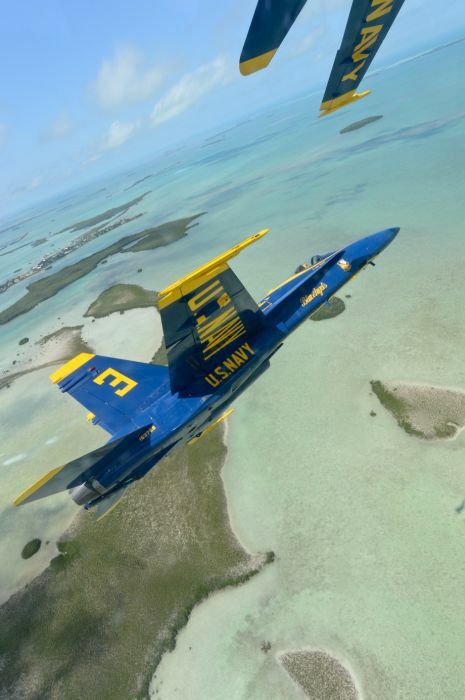 The Blue Angels' six demonstration pilots fly the F/A-18 Hornet in more than 70 shows at 34 locations throughout the United States each year, where they still employ many of the same practices and techniques used in their aerial displays in 1946. 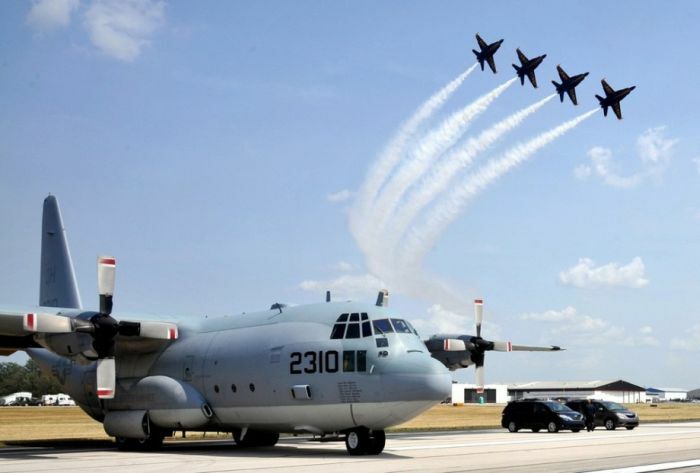 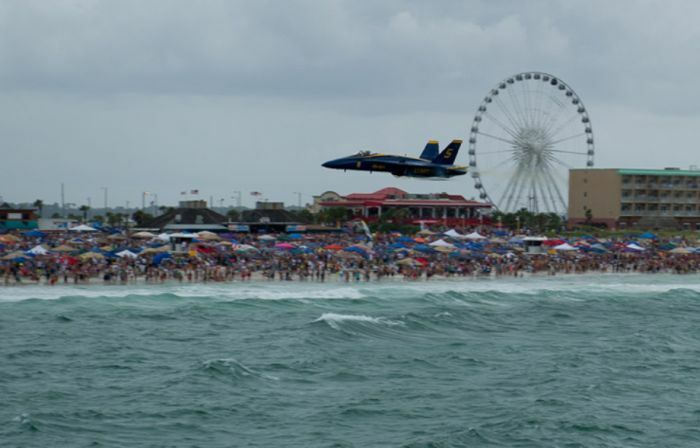 An estimated 11 million spectators view the squadron during air shows each year. 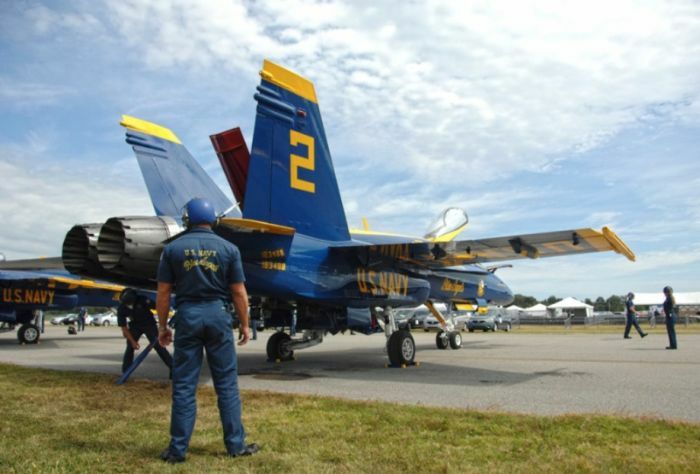 The Blue Angels also visit more than 50,000 people a show season (March through November) in schools and hospitals. 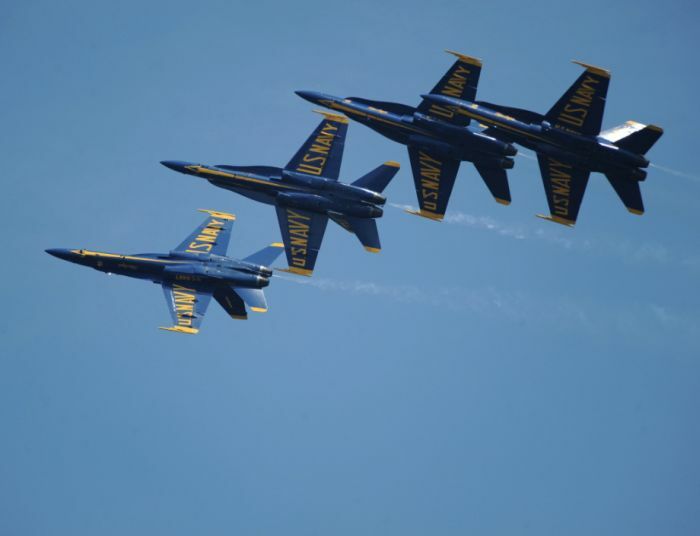 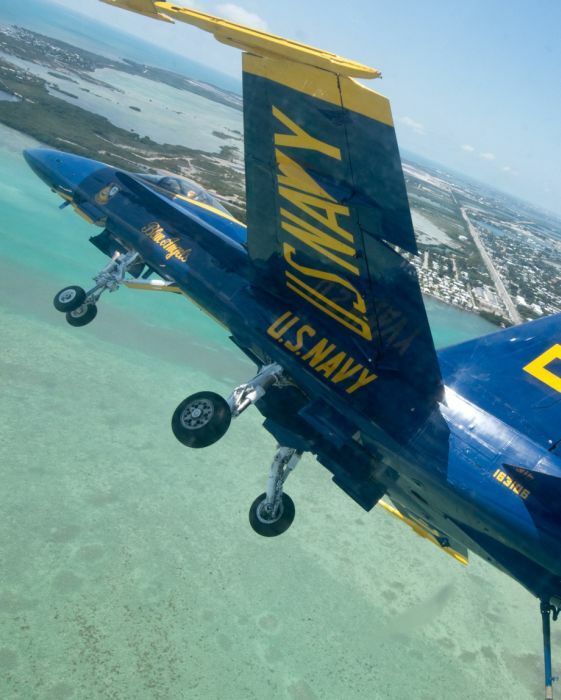 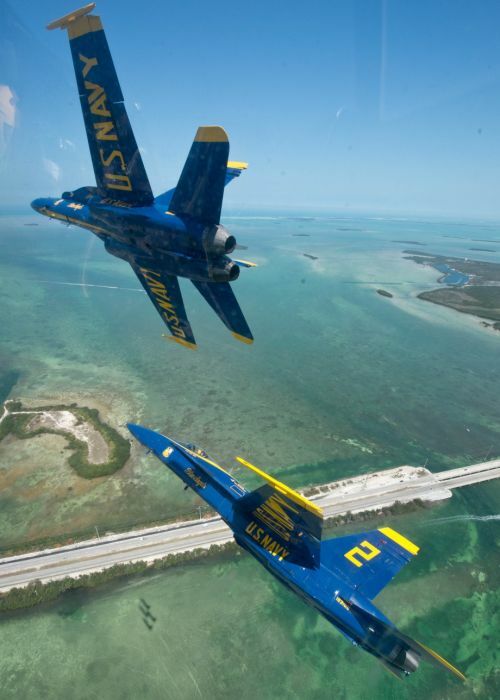 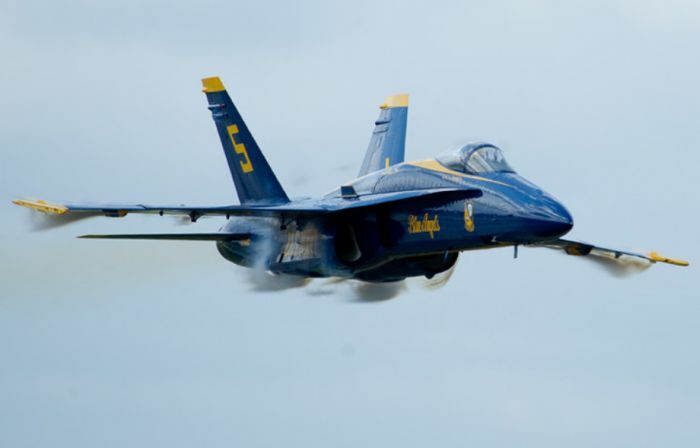 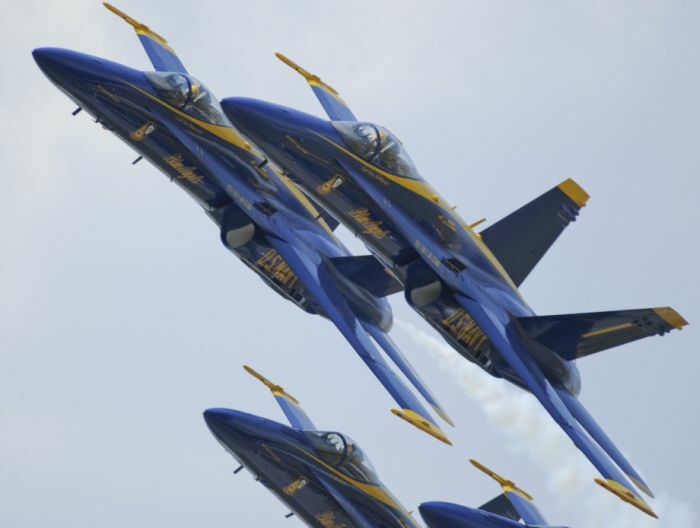 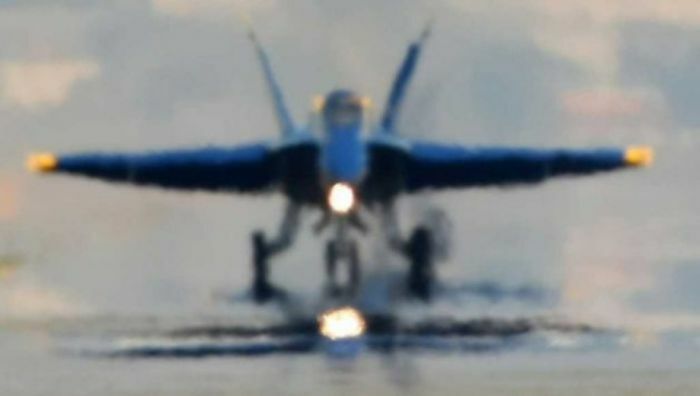 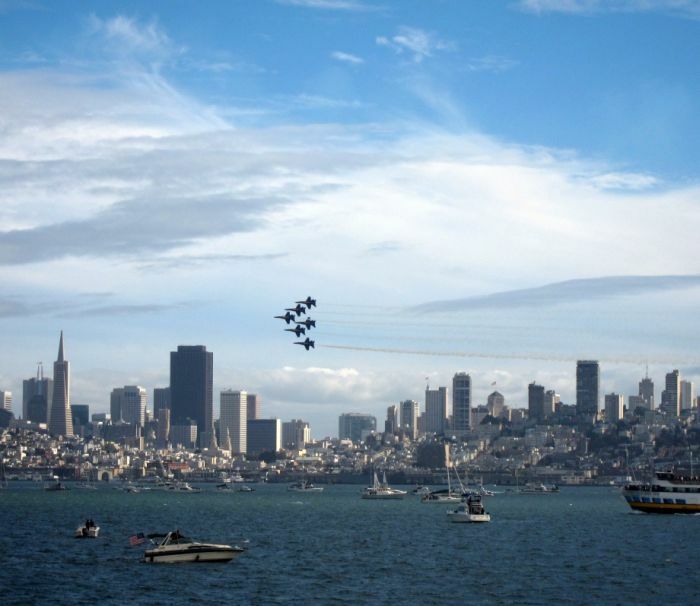 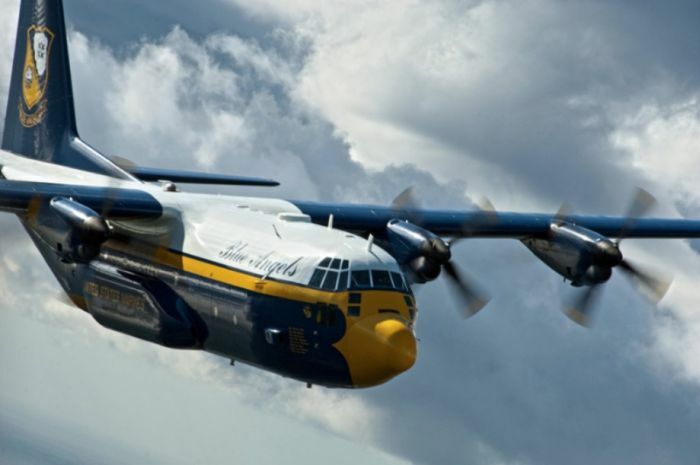 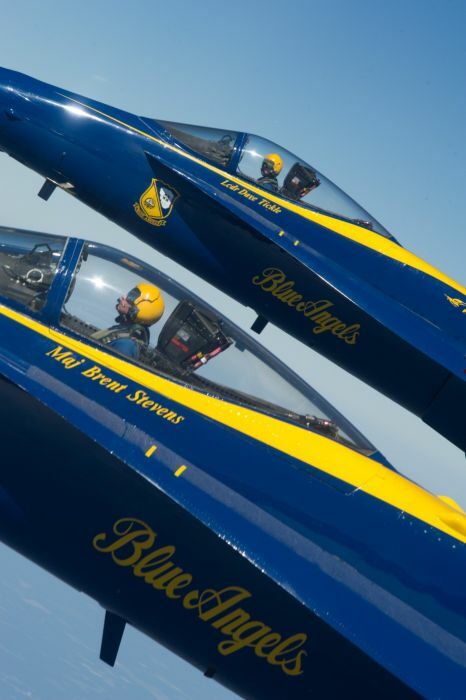 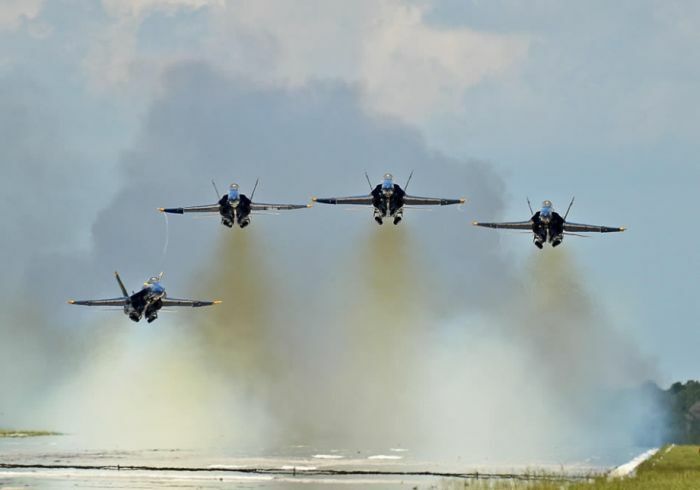 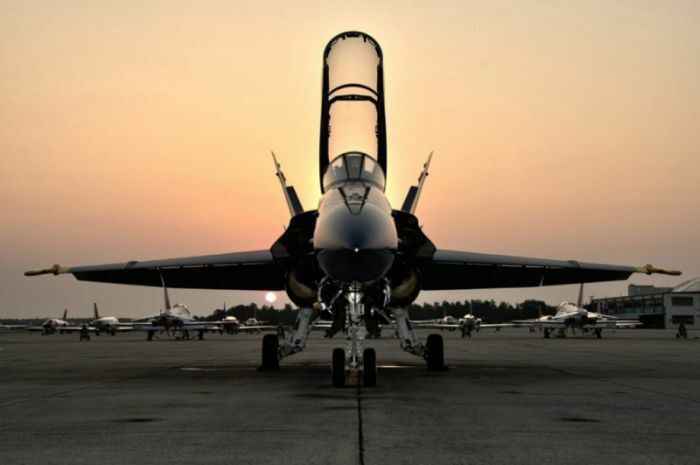 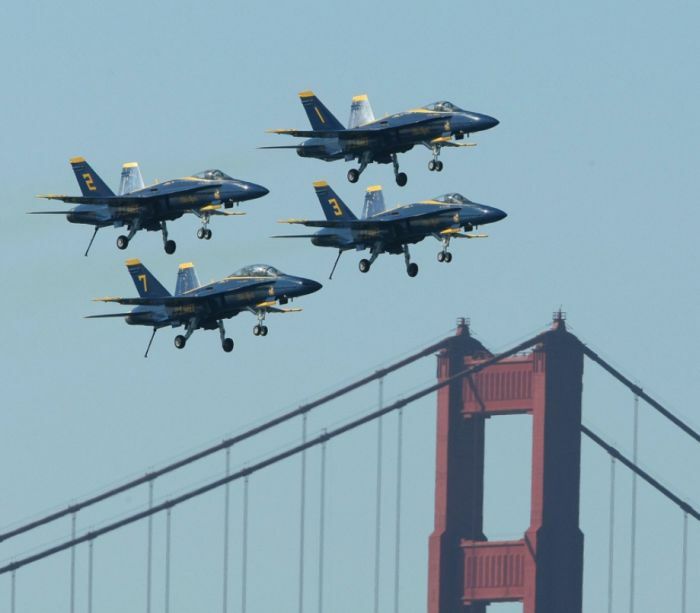 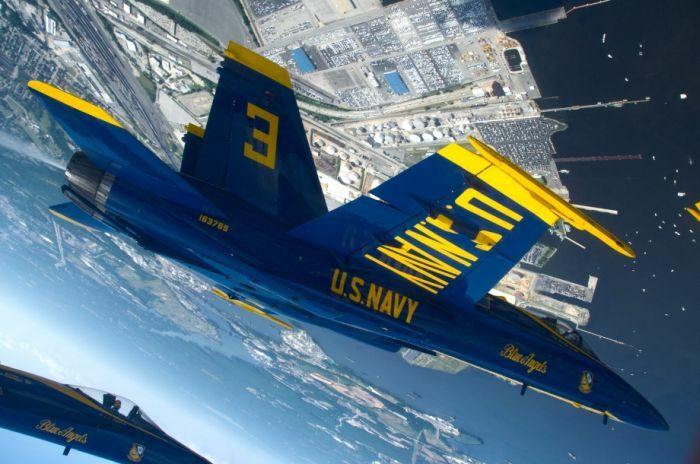 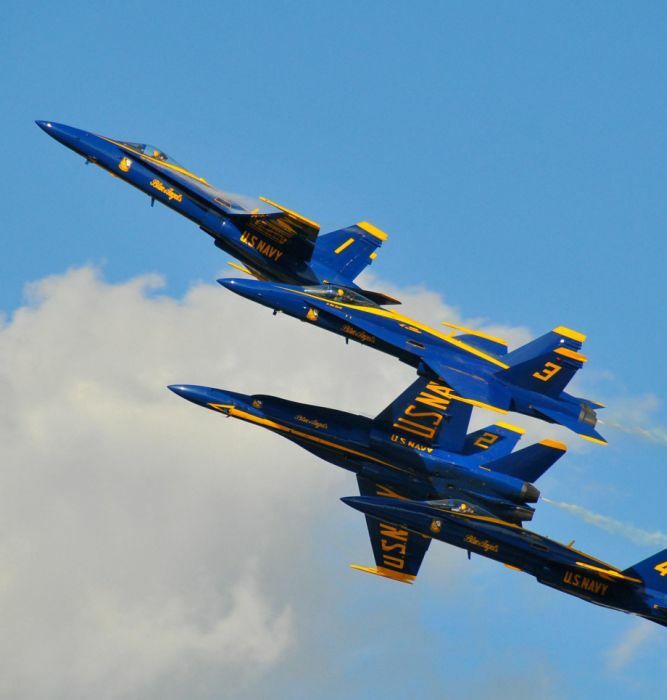 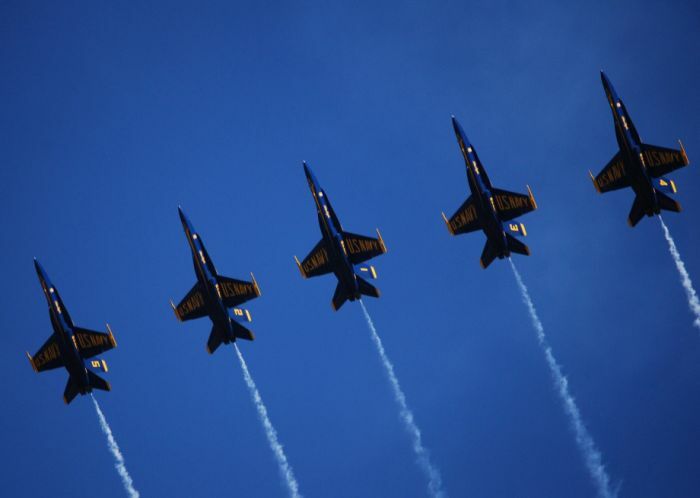 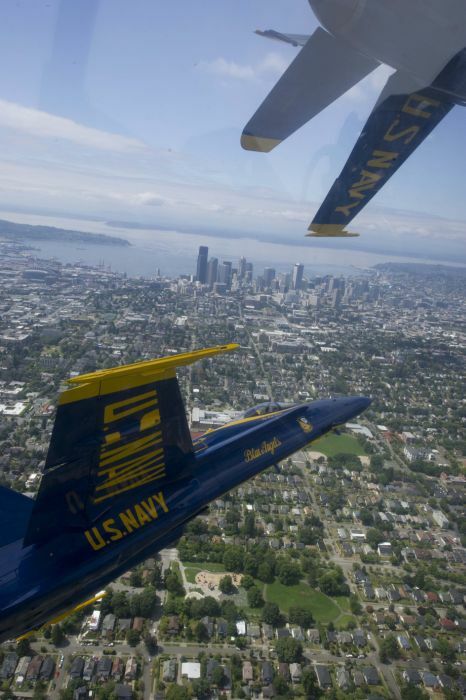 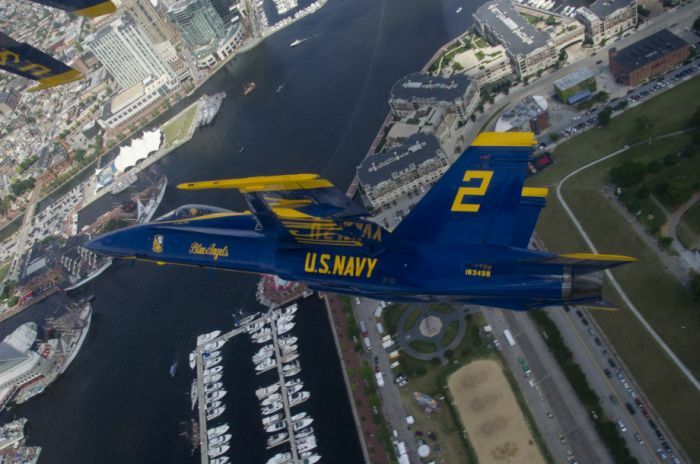 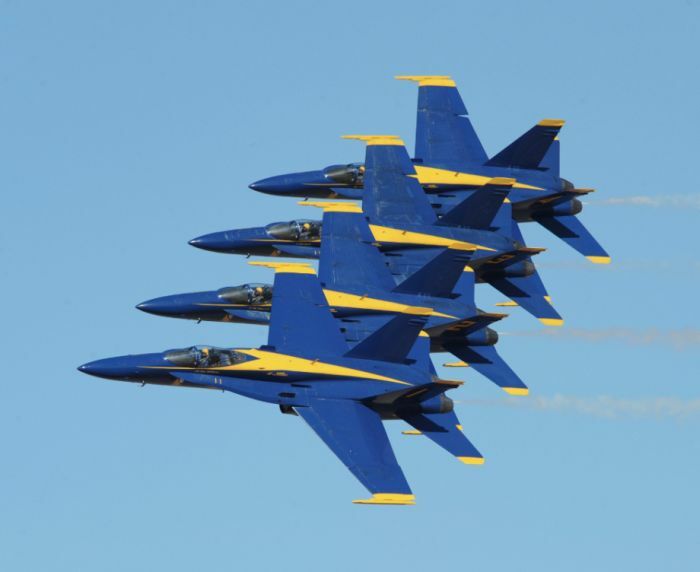 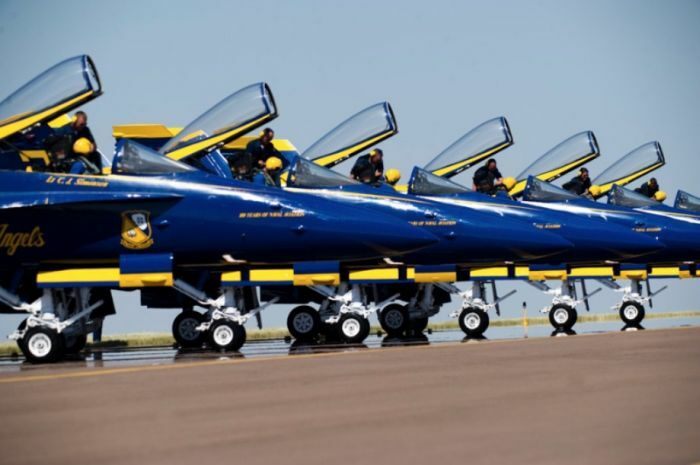 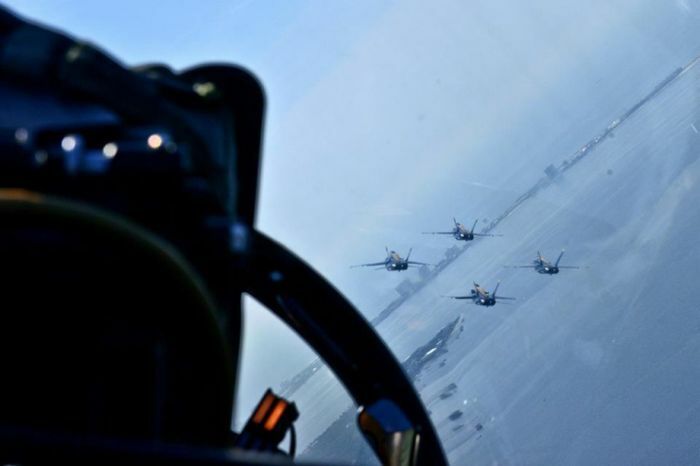 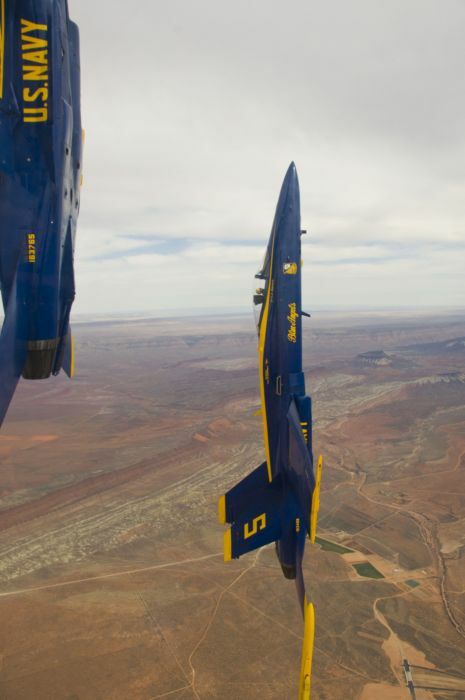 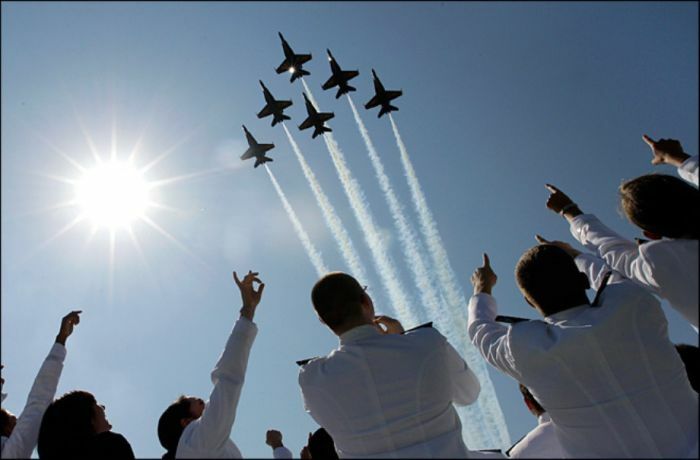 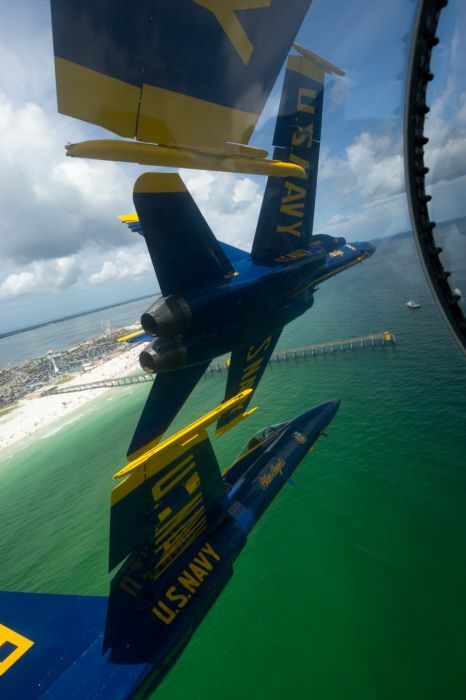 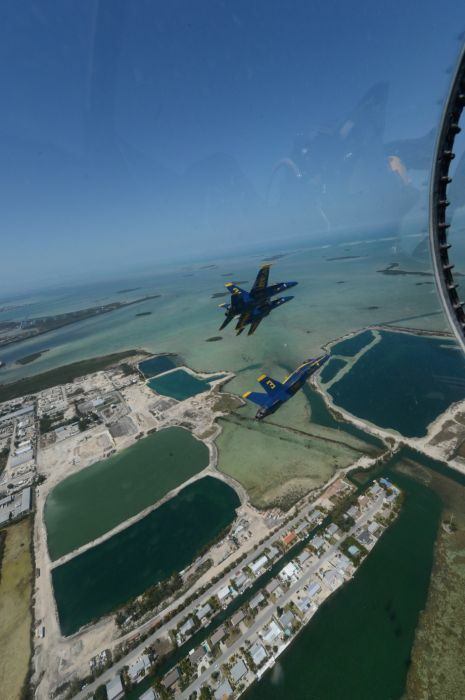 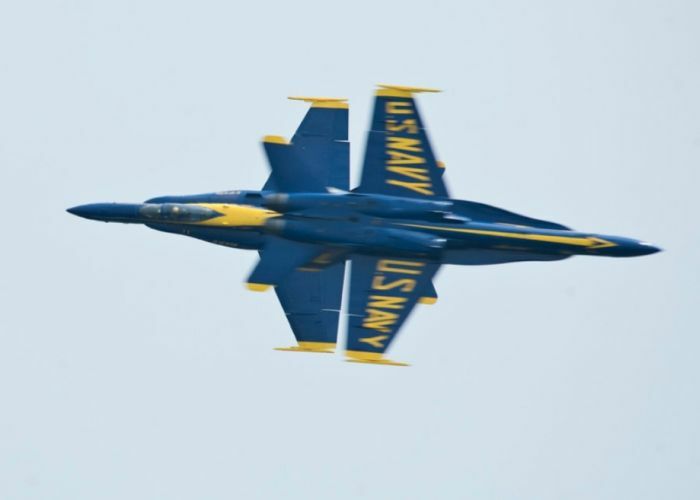 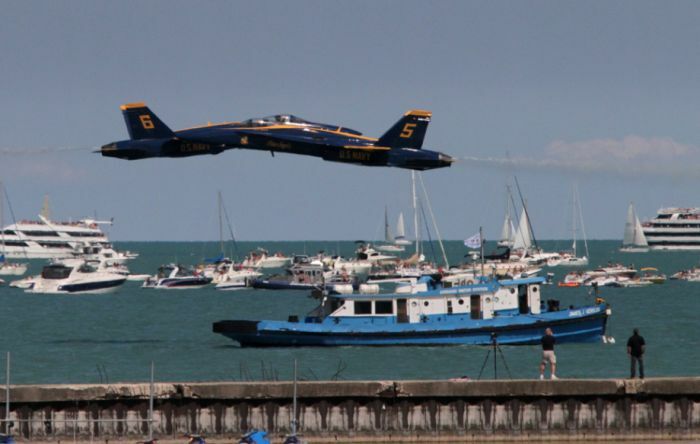 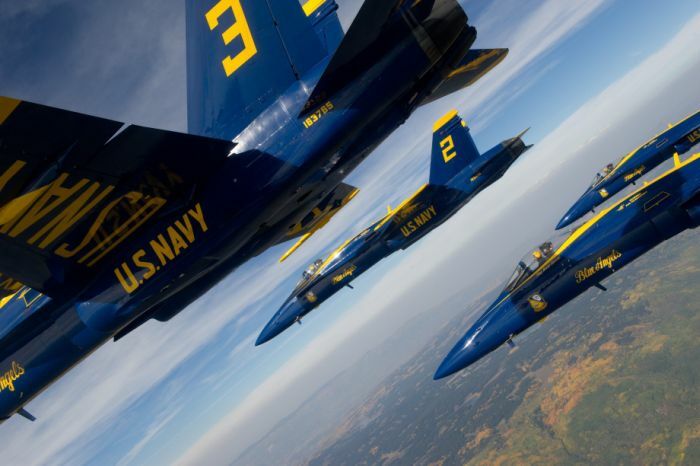 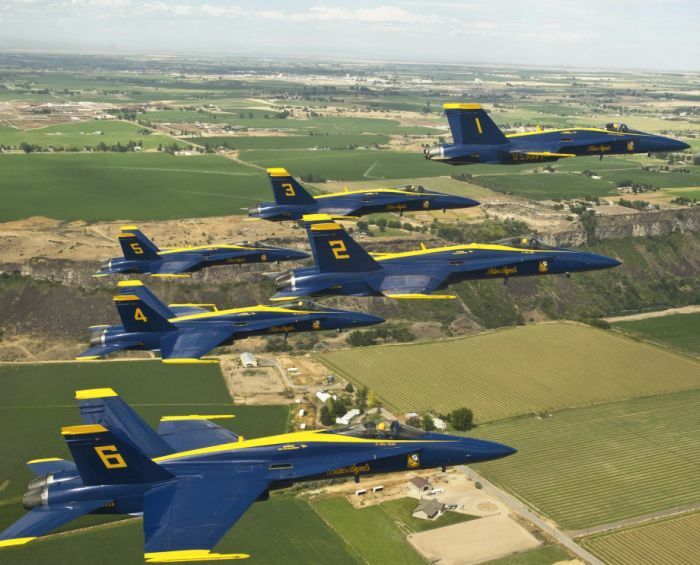 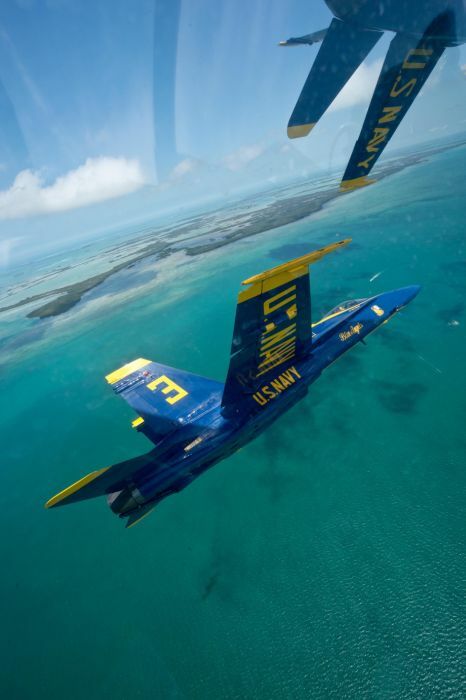 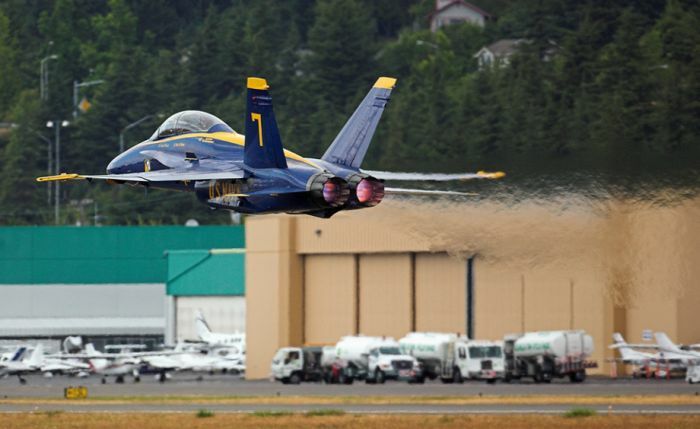 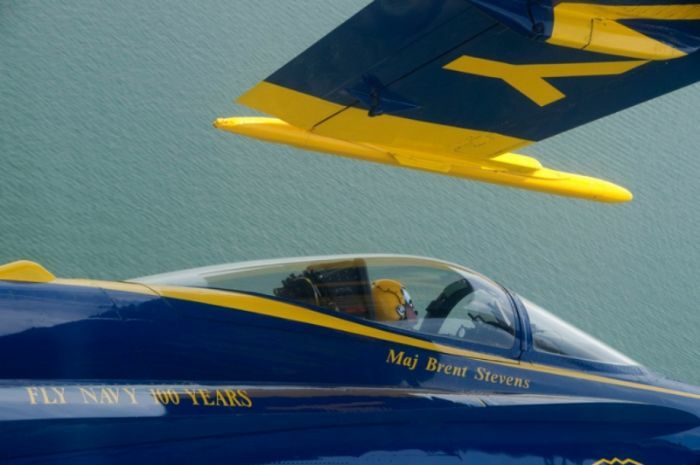 Since 1946, the Blue Angels have flown for more than 260 million spectators.